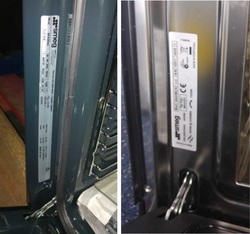 Finding your LG fridge model and serial number. 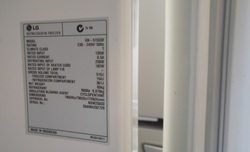 Your fridge model and serial number can be found on either side of the fridge exterior as above picture shows. A sticker can also be found inside the fridge compartment as pictured below. 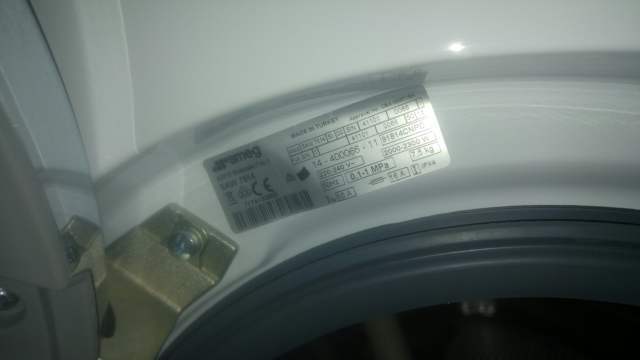 LG washing machines model and serial number. LG top load washers have a stick located on one of the side panels near the top of the panel. 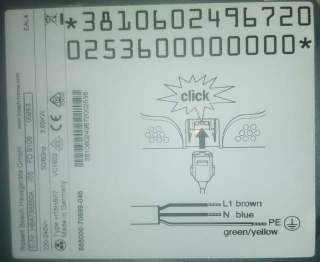 The model number can also be located on the control panel of the washer. LG front load washer has two stickers with model and serial number. One can be found on a exterior side panel. Another sticker can be found behind the bowl door at the top of the bowl entry. 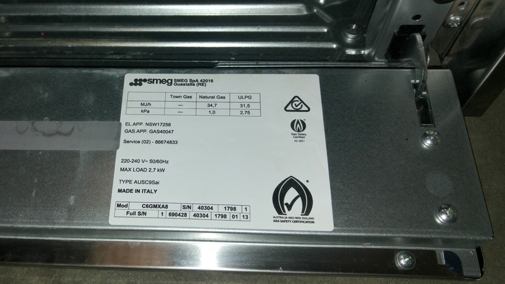 Smeg ovens have a couple of locations for their Model & Serial number. Smaller Smeg Ovens and built in microwaves have a sticker on the left hand side of the cavity font lip hidden by the door when closed. 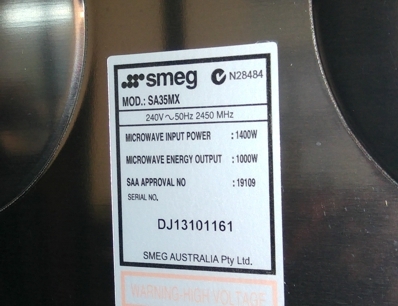 Smeg microwaves have a sticker on the rear of the microwave as pictured above. 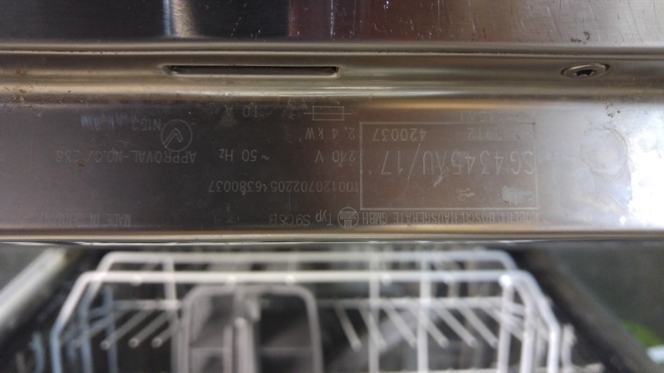 Bosch dishwasher serial number and model number can be found on the top of the dishwasher door stamped into to stainless steel. Siemens Ovens have a model & serial number label on the back or the top of the oven. as pictured below. Everdure and Omega dishwasher model and serial number can be found on the inside edge of the dishwasher door on the right hand side. Range hood serial numbers can be found on the inside of the hood of the range hood. To find the model and serial sticker remove the grease filters. With care look up under the hood on each face or corner unit you locate the sticker. Robinhood range hoods and Excelsior range hood may not have a serial number or model number sticker, please refer to the manufacturers user manual for this information.